Kenya, together with the rest of the international community, carried out activities on February 2, 2019, to celebrate World Wetlands Day. State authorities announced on that occasion the preparation of a master plan for the preservation and restoration of these natural environments, which are usually flooded and whose role is crucial to the balance of the ecosystem. Activities marking the 2019 edition of Kenya’s Wetlands Day took place in Laikipia County, a five-hour drive from Nairobi, the capital city. Choosing Laikipia is symbolic given that in 2017, the county had been the scene of a conflict between farmers and ranchers driven by climate change. The latter, who had come from the North, had invaded the town, attacking and destroying ranches, leading to clashes with local farmers. More than 20 people were killed in the violence and the army had to be deployed. This shows how much Kenya is affected by the effects of climate change. However, aware of the role of wetlands in mitigating these effects, the Kenyan authorities took the opportunity of the World Wetlands Day to improve their situation. 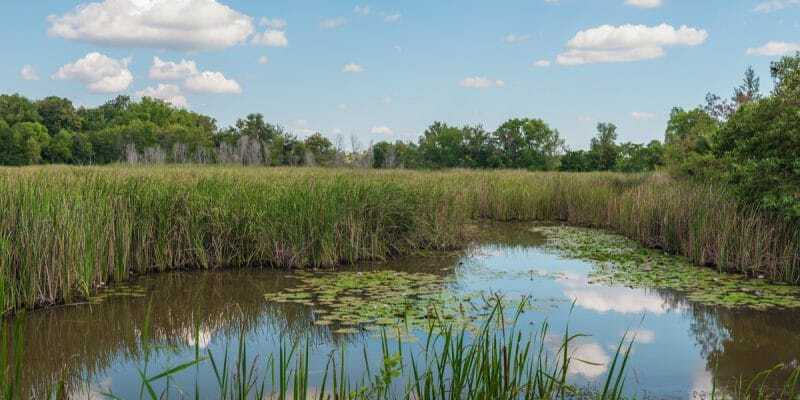 “We will soon map all wetlands in the country, identify new threats to their survival and develop a solid master plan to restore the sustainability of these resources,” said Katua, Director of Wetlands at the National Environmental Management Authority (NEMA). The Kenyan government intends to focus on targeted interventions such as law enforcement, research and public awareness to minimise the threats of pollution and human encroachment that cause wetland degradation. In response to growing threats from rapid urbanisation, climate change and population pressure, the Primate Conservation and Rescue Centre has taken a commendable initiative. In Diani Beach, a seaside resort on Kenya’s south coast, the NGO plants indigenous tree species to regenerate the wetland forest, which is dominated by hydrophilic plants. This also helps local primates because these trees provide habitat for colobus monkeys, which are a great attraction for tourists. The country is a signatory to the Ramsar Convention (an international treaty adopted on February 2, 1971 for the conservation and sustainable use of wetlands of international importance). Kenya is home to six sites designated as Wetlands of International Importance, including the Tana River Delta, Baringo Lake, Elementaita Lake, Bogoria Lake, Naivasha Lake and Nakuru Lake.